With less than one month left in the year, high-stakes poker grinders are doing their best to end their year on a high note. As has been the norm over the past several years, this big, high-stakes action was taking place at Full Tilt, and it's been no different in December. So far this month, some players have had better success than others. The biggest winner as of Dec. 9, according to HighstakesDB, was "AthaCliath" with $485,676 in winnings coming from 8,675 hands in his 87 sessions. While the identity of this player is a mystery, we know that he first started playing high-stakes games in January of this year. He still needs another $200,300 in winnings this month to be out of the hole for the year, though. Behind "AthaCliath," German poker player "Sanlker" is the second biggest winner in December with $479,210 in profit. His great start to the month has increased his winnings on the year to $577,832. A bit behind these two monthly leaders is Patrik "FinddaGrind" Antonius with $199,051 in winnings during five sessions and 1,051 hands. Antonius is also over the $1.7 million profit mark for the year. 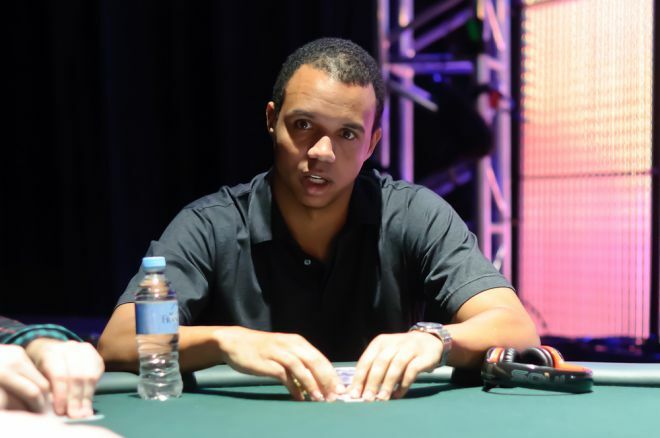 December, however, hasn't started in the best possible way for some of the biggest names in poker, including Phil "Polarizing" Ivey, who is already down $558,220 after only 10 days. Ivey will need to turn things around in order to finish the year down less than $2 million. Right now, he is down nearly $2.5 million on the year and sits as the second biggest loser in 2014, but it appears he is in no jeopardy to find himself as the year's biggest loser since Gus Hansen has tallied up losses that amount to more than a mind-numbing $5.4 million since January 1. Dani "ansky451" Stern is currently December's second biggest loser with $252,297 in losses. Stern will need to clear those losses and a little more to find himself profitable on the year, since he is currently down $269,813 in 2014. Viktor "Isildur1" Blom is also having a rough start to the month, with the Swede down $201,151. The rest of 2014 hasn't gone much better for Blom in the nosebleeds, either, with him being down nearly $1.6 million. Special thanks to HighstakesDB for the data used in this article, and stay tuned to more high-stakes cash-game action to come in tomorrow's Online Railbird Report.